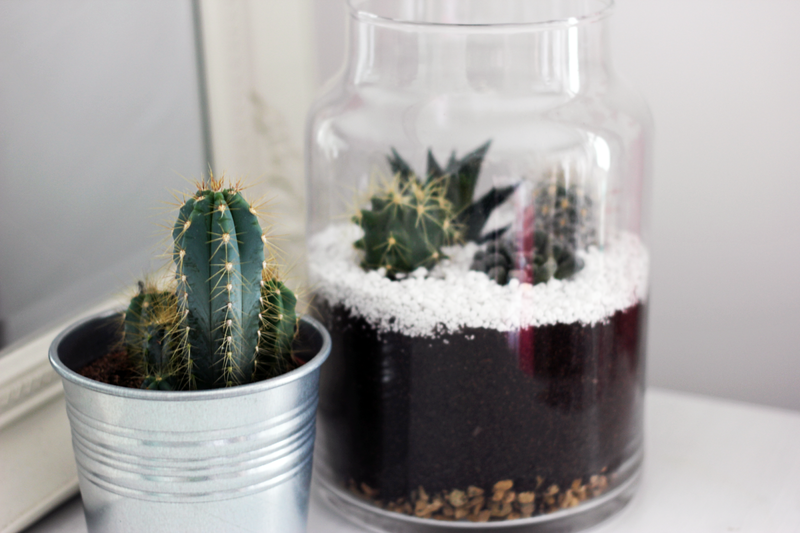 Something a little different here, but ever since I spotted terrariums popping up in visual merchandising in New York, London and even Bristol, my mind has been fixated on creating my very own little glass terrarium. After holding off the search for the perfect glass fixture, I spotted the exact shape and size I'd been hunting for in Tesco last week. 1. 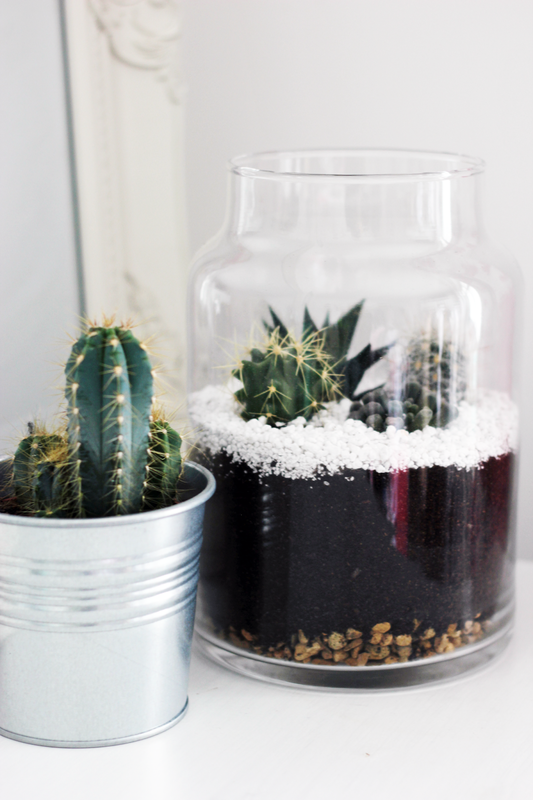 Choose your container/fixture (you want some sort of glass, and for it to be big enough to hold a few cacti/succulents). It's also important to find a container with an open top that allows the plants to breathe and to prevent accumulation of moisture. 2. Choose your plants! Now don't be afraid to go as creative as you like although I've opted for a super minimalistic approach I have also seen the most beautiful busy creations too. 3. Choose your gravel or grit and fill the bottom of the fixture with a steady layer of your chosen grit. I chose some tiny little pebbles/stones from my garden. 4. 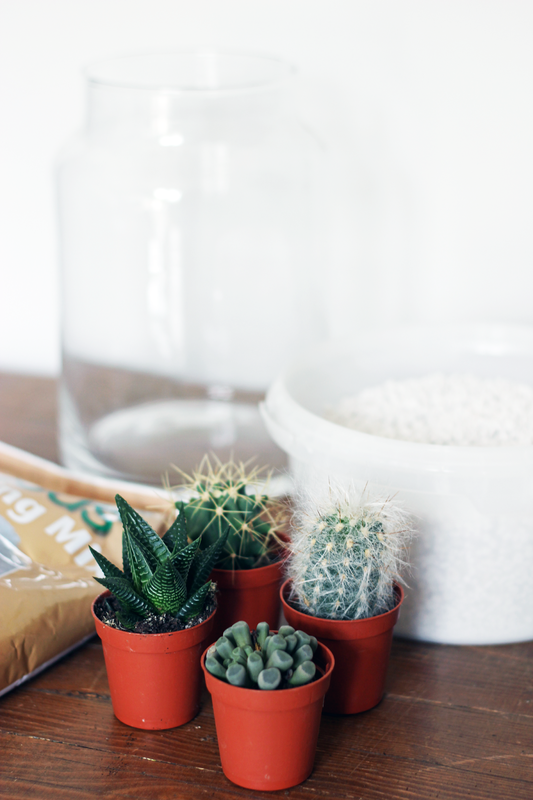 Layer the cactus soil over the grit, be generous and try to add more soil than the height of the plant's roots. 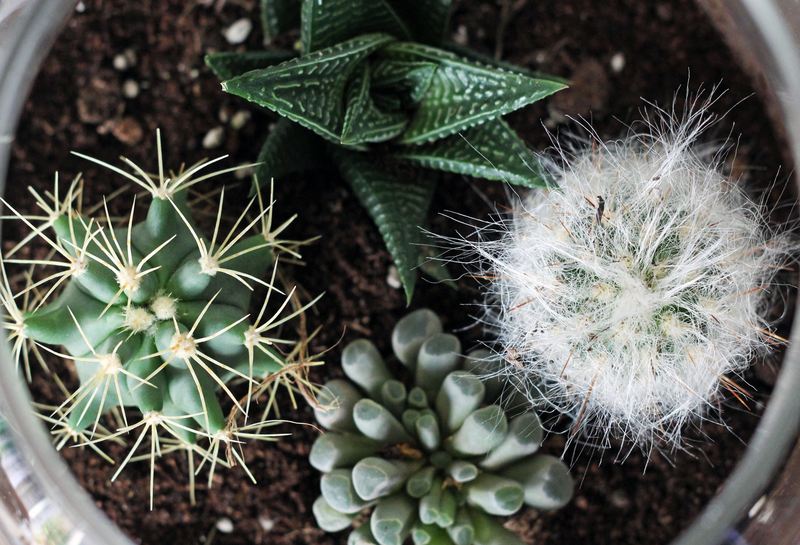 Dig little holes into the cactus soil with your fingers (some plastic gloves may be necessary if you don't like the dirt!) and fit your plants into them. 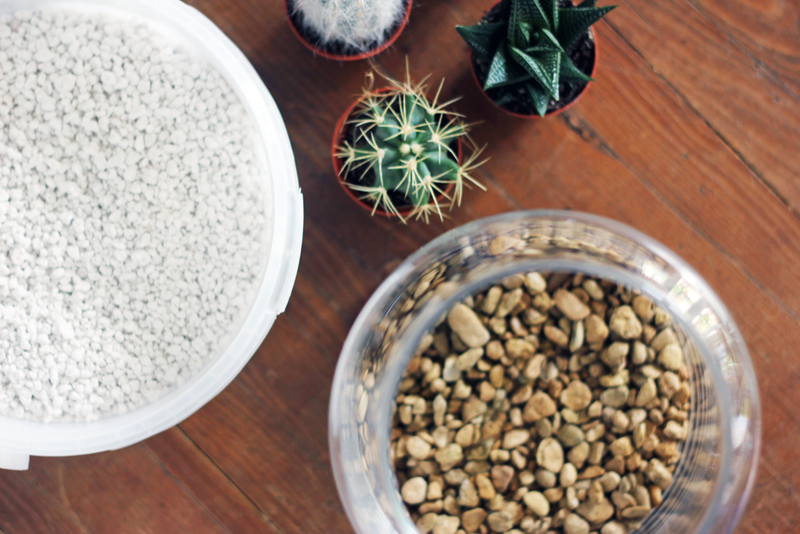 Sprinkle a nice thin layer of sand/perlite/grit around the plants now they have been securely planted into the soil - make sure it's even and that you can't see the soil from a birds-eye view, but only from the side to achieve that layered approach. 5. Put it somewhere pretty where it'll get noticed! I've chosen a shelf in my room where the light hits it perfectly. I love the idea of having them as centre pieces on coffee tables or even dining tables. The choice is yours! 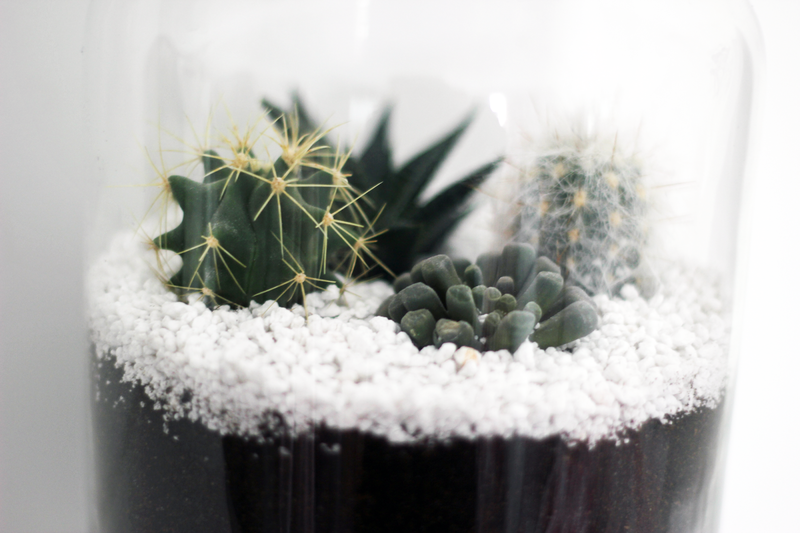 Check out my Pinterest board here, for more terrarium inspiration! this is just so cute and cool <3 amazing DIY! !